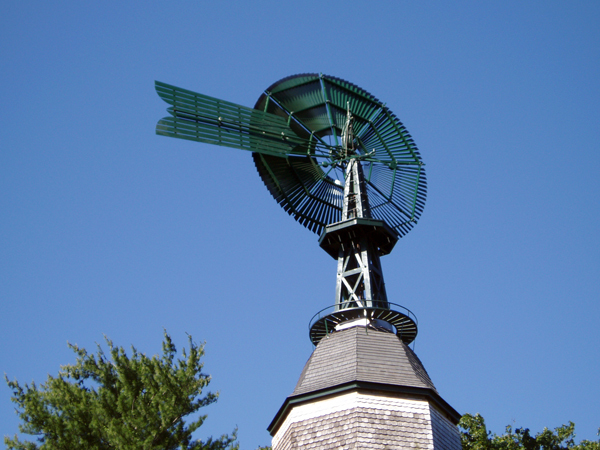 In the late nineteenth century a windmill was a familiar site on the northeast farm. Farmers, and wealthy families, installed them for practical reasons, and to beautify their properties. In 1893-94, Frederic Bronson, Jr. had his windmill at “Verna Farm” built by The Corcoran Windmill Company of New York City. The Bronson Windmill more than testifies to the importance of a reliable water source, it is also a significant object for the study of architecture and engineering. 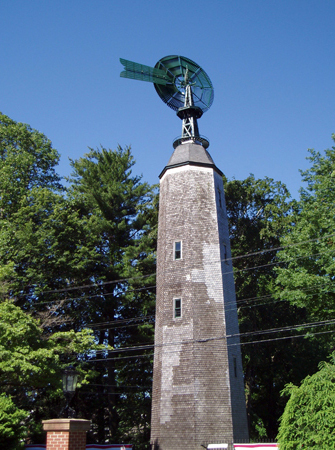 Made of hemlock, the windmill stands 105 feet high to the top of the wheel. It was designed to pump water from a well 75 feet below ground level using a screw device powered by teams of horses. 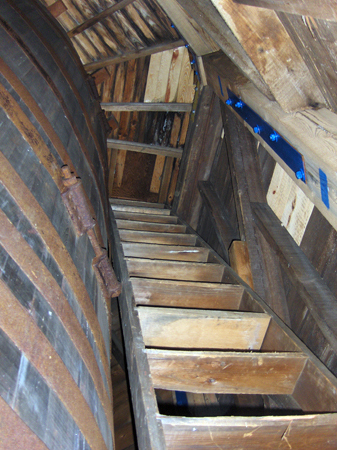 Wind power pumped water into the 7,500-gallon wooden storage tank 70 feet up inside the windmill. When full, the tank weighed over 31 tons. Today the restored windmill is also an active cell phone tower. The windmill’s bell crown has been re-clad with faux-wooden material made to look like the original shingles and allows for transmission of the wireless signals. 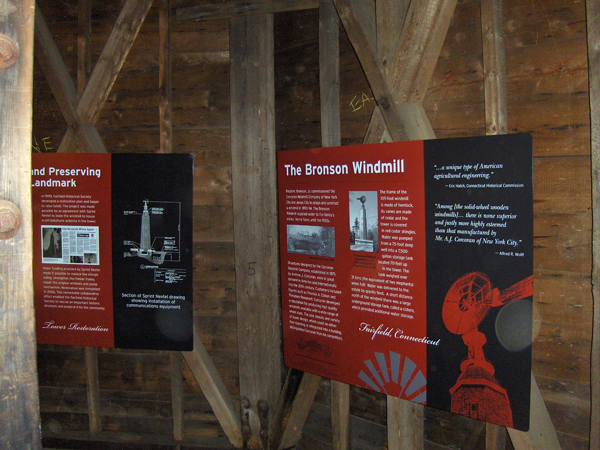 The Bronson Windmill is part of the Historic American Building Survey/Historic American Engineering Record (HABS/HARE). It is also listed on the National Register of Historic Places. 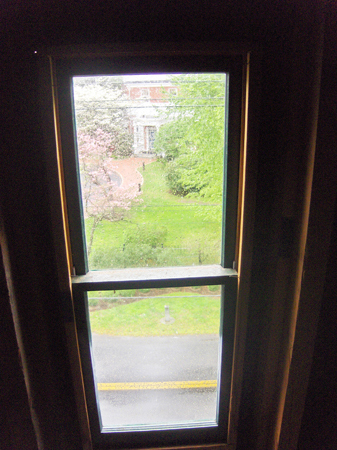 More information about Fairfield Historical Society or to arrange a tour of the Windmill, call (203) 259-1598.